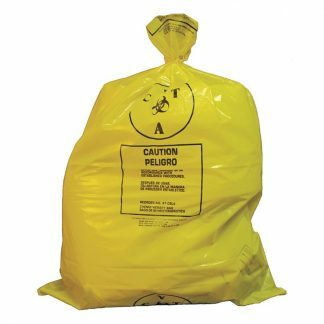 Sturdy 4 MIL polyethylene yellow chemo waste bags with black caution print in English and Spanish. CYTA Symbol, Meets A.S.T.M. Dart Impact & Elmendorf Tear Test Requirements, Flat Seal, Flat Pack – For use in all 50 states & for interstate (between state) transport. 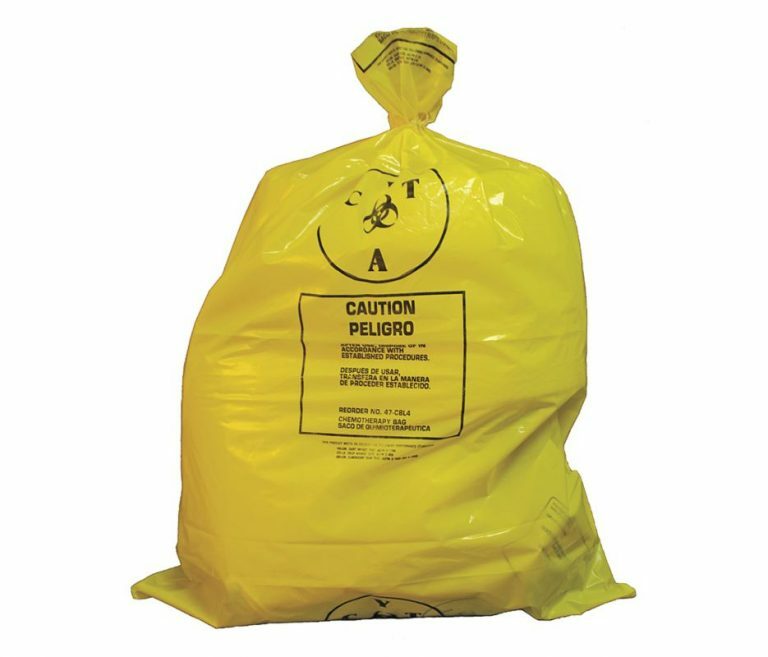 Manufactured by Medegen Medical Products.